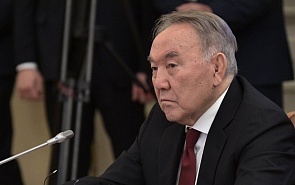 On March 19, 2019, the President of Kazakhstan, Nursultan Nazarbayev, announced his early resignation. Speaker of the Senate of Kazakhstan Kassym-Jomart Tokayev took the oath of office and was sworn in as the nation’s new president. Now the main task of the political elite of Kazakhstan is to maintain internal cohesion and ensure the further consolidation of society around the recognised national leader, as he establishes policies for the state, believes Yerlan Karin, Chairman of the Kazakhstan Council on Foreign Relations. No one was ready for this news, although the likelihood of such an event was discussed long ago. But even the experts could not foresee that everything would happen in the way that it did. Nursultan Nazarbayev surprised everyone again; he always did this brilliantly throughout his presidency. It is surprising that he relinquished his presidential powers at the peak of his political influence, having reached a high level of political support among the nation’s citizens. He could easily have returned to the polls and confidently prolonged his mandate. It seemed to everyone that the only question was when to go to the polls - on time or ahead of schedule. But Nazarbayev once again served as an an example of a responsible politician and leader with a strategic vision. The retirement statement was unexpected, but the decision itself is a deliberate, meaningful and carefully prepared political step. Nursultan Nazarbayev purposefully built up all the necessary institutions and the requisite legal framework to ensure the stability of the political process and the sustainability of state policy. An effective system of state institutions has been created in the country, capable of ensuring the fulfilment of the strategic objectives set by Nazarbayev. Regardless of Nursultan Nazarbayev’s retirement, the country will continue to stay the course he established. Everyone understands this, both inside and outside the country, as well as the fact that Kazakhstan needs Nursultan Nazarbayev - his tremendous political experience, broad public support, international prestige and influence. Therefore, the main task of the political elite of Kazakhstan is to maintain internal cohesion and ensure the further consolidation of society around the recognised national leader, and to pursue the agenda Nazarbayev established for the state. What status does Nursultan Nazarbayev have now, and which policies does he maintain? After the termination of his presidential powers, Nursultan Nazarbayev was given the status of First President – Head of State. This political and legal status is secured by the Constitutional Law “On the First President of the Republic of Kazakhstan – Head of State”. Here it must be emphasized that this Law is Constitutional. It was adopted in July 2000, with amendments made in 2010 and 2017. In particular, the initial political and legal status “First President” was supplemented with the status of Elbasy, or Head of State. The law establishes the prerogatives and guarantees, as well as the political and legal status of Nursultan Nazarbayev after the termination of presidential powers.According to this Law, the First President – Head of State heads the Security Council (SC), the Assembly of People of Kazakhstan (APK), and is a member of the Constitutional Council. He also has the right to address the Parliament and its chambers at government meetings when discussing important issues for the country. It should be particularly noted, that Nursultan Nazarbayev can address the people of Kazakhstan, government agencies and officials with initiatives on the most important issues of state-building, domestic and foreign policy, as well as the country's security. At the same time, the initiatives of Nursultan Nazarbayev are obligatory for consideration by state bodies and officials. It is mandatory to agree with him regarding the initiatives that define state policy. To ensure the activities of the First President-Head of State, the Office is created, which is responsible for the performance of his duties only to him. The protection of Nursultan Nazarbayev has been assigned to the appropriate unit of the State Security Service. The First President-Head of State has no restriction on the right to be elected President. At the same time, in addition to the prerogatives set in the Constitutional Law “On the First President of the Republic of Kazakhstan – Head of State”, Nursultan Nazarbayev remains Chairman of the Nur Otan party, which has a majority in Parliament and local representative bodies. In short, a new phenomenon has appeared world political history - the Kazakhstan model of political leadership.